Q: OK, so I am a Virtuous Automation user. What is changing? A: Well, with this release, we are proud to bring you (drumroll please) Virtuous Marketing! That’s right, a whole new Virtuous, just for your marketing team. Virtuous Marketing makes it easy to access the Campaign tools everyone uses today, Virtuous Automation, and Virtuous Email. A: Yes, email! 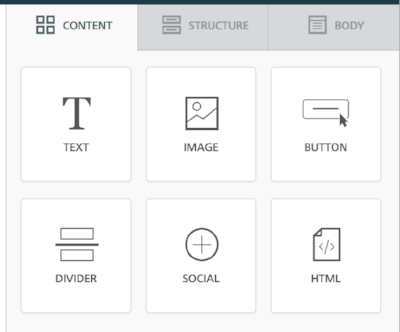 Now, users can create, edit, and send emails directly within Virtuous. Q: Whoa, whoa, whoa...when did that happen? Q: And how does the email tool work, exactly? A: I’m glad you asked, Mr. Fictional User! 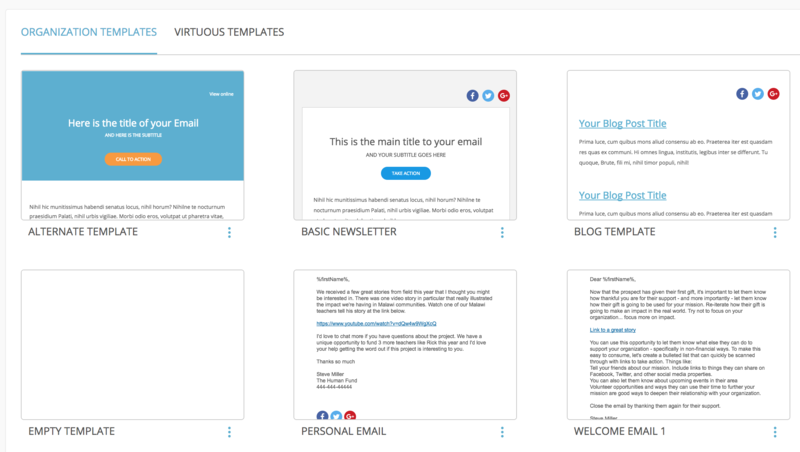 Virtuous Email will allow users to create and save email templates, or choose from a gallery of Virtuous templates, to create and send emails to Contacts in Virtuous. Users can use a simple, drag-and-drop visual interface to create newsletters, marketing announcements, appeals, and anything else they might want to send to their constituents. Once an email has been created, users will choose from a list of saved Contact queries to determine who will receive their email masterpiece. And then, either send the email right away, schedule it for a later time, or use it in an automation workflow. Q: Wow! And I have this as part of subscribing to Virtuous Automation? Q: OK, well I couldn’t wait, so I’m looking at Virtuous now...how do I get to Virtuous Marketing? A: No worries! Get in there and check it out. Clients with Virtuous Automation will see a new “three dots” icon in the upper right corner of the screen, next to their user avatar. Click to toggle between Virtuous CRM and Virtuous Marketing. Q: I am super excited to try this out. If I didn’t have Virtuous Automation, would I still be able to access Virtuous Marketing and send emails and all that good stuff? Q: Well, what do you expect? I’m a fictional construct here to make this release announcement interesting. A: Good point. Virtuous Marketing is ONLY available to clients who have contracted for Virtuous Automation at this point. 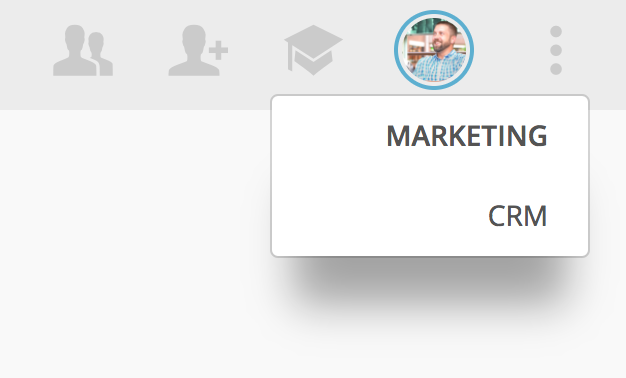 Clients without this option won’t see the link to switch to Virtuous Marketing. For more information, those users should contact their account rep.
Q: Any other exciting features in this month’s release? A: Well, like any other release, there’s a variety of fixes, tweaks, and improvements. One feature that may interest users is the new ability to reset a match in the Gift Import Tool. In cases where a transaction may have been inadvertently matched to the wrong Contact record, look for the new unlink icon on the right to reset a match and move the transaction to the Needs a Match group. Q: Awesome! I know that doesn’t happen a lot, but when it does, it can be a big headache. Anything else to look out for? A: Well, now that you mention it, we’ve made a slight tweak to our Training link. 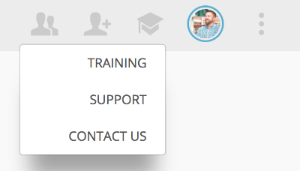 Clicking on the mortarboard icon in the upper right will now show separate navigation options for Training, Support, and Contact Us. This way, users can easily access our growing library of video training resources, browse support documentation, or submit a request for support. We hope you are excited to see everything that’s included in our latest release. As always, if you have any questions, feel free to contact us via email (support@virtuoussoftware.zendesk.com) or use the Help widget in Virtuous to submit a support request.